This is the fourth in a series of spotlights on our summer 2018 student interns. Learning Life’s students this summer are assisting with planning, fundraising, curriculum development, and international family-to-family projects focused on community photography and food culture as part of our Citizen Diplomacy Initiative (CDI). 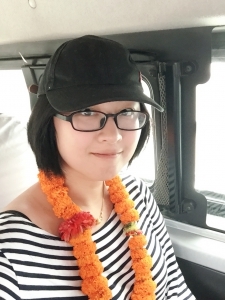 Minke Xie, interviewed below, is, among other things, helping with financial reporting and fundraising planning, translation of CDI documents into Chinese, and outreach to potential partners in Beijing, China. I was born and raised in Beijing, the capital of China. I spent the first 18 years of my life in Beijing and completed my bachelor’s degree in Wuhan, a city in the middle of China. I then came to the United States in 2014. China has a long history, but immersing one’s self in ancient Chinese history is not ideal in a world where international interaction is increasingly frequent and important. So, I came to the United States to get my Master’s degree and to learn about another culture. I am a graduate student at George Mason University pursuing a Master’s degree in public policy. My concentration is in social policy. When I finished my bachelor’s degree in journalism in China, I felt that I wanted to not just observe society change, but engage in the change. This pushed me to choose my current direction of study. I have a lot of interests, but what I enjoy the most is making art journals. Since I casually learned about art journaling around 2012, I have accumulated six journals. Art journaling keeps me looking for the beauty of life. A life experience that has shaped me is traveling with my classmates to Europe when I was 13. We visited Britain, France, Germany among other countries. This was my first time traveling without my parents and out of my home country. It was rewarding because it was the first time I became aware that places in the world vary from each other, and some people live in ways very different from us Chinese people. I chose to intern with Learning Life because my program requires me to take a course in nonprofit organizational development, including an internship with a nonprofit, so this is a good chance to practice what I learned from books. Also, Learning Life plans to expand its Citizen Diplomacy Initiative to China, so it is a good fit for me because I can help Learning Life make connections as a fluent Chinese speaker. 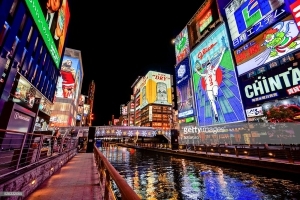 The place I most love on Earth currently is the Dotonbori River in Osaka, Japan. I traveled there with my friend last summer. We spent an entire evening on a sightseeing boat to enjoy Osaka’s night scene and jazz music. It was so beautiful, just like some Japanese movie scenes.